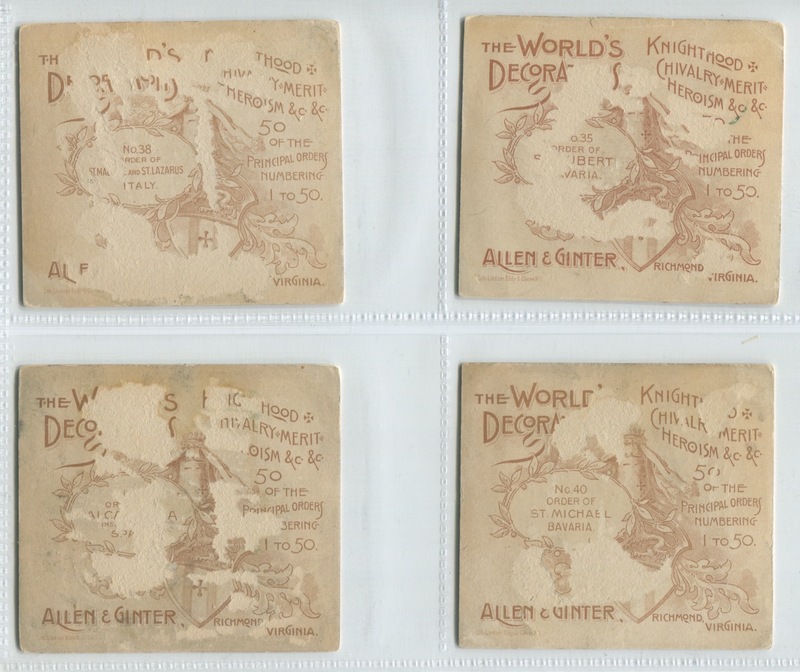 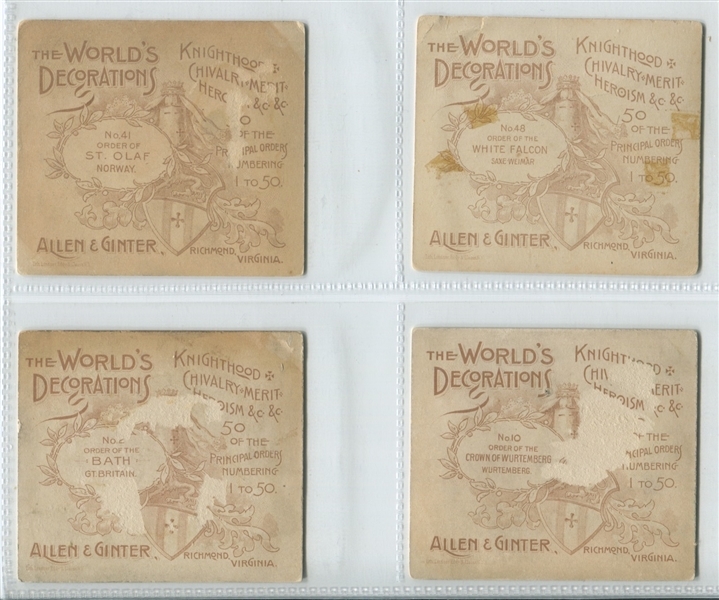 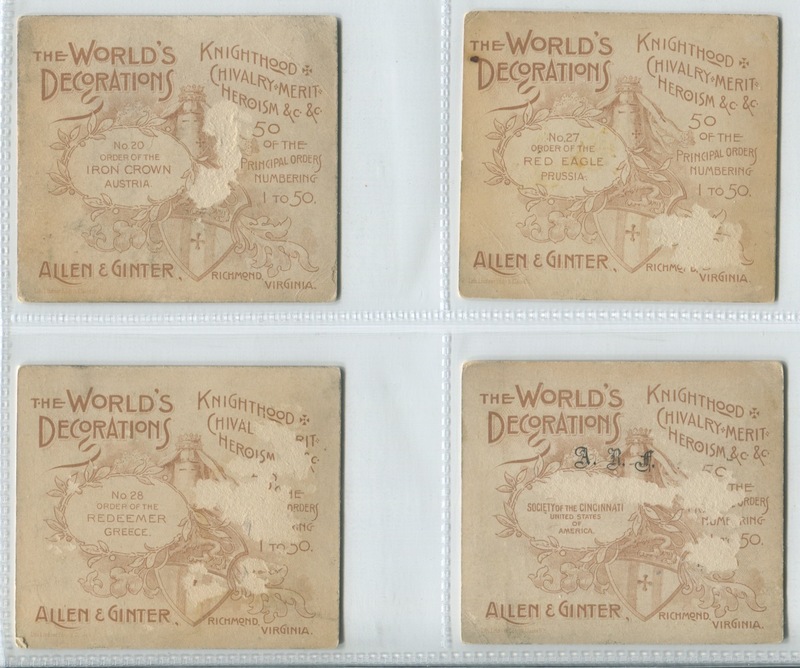 The N44 Allen & Ginter World's Decorations set is the large format companion of the N30 Allen & Ginter small World's Decorations set and the final set of the 44 chromolithographed Allen & Ginter mainstream sets. 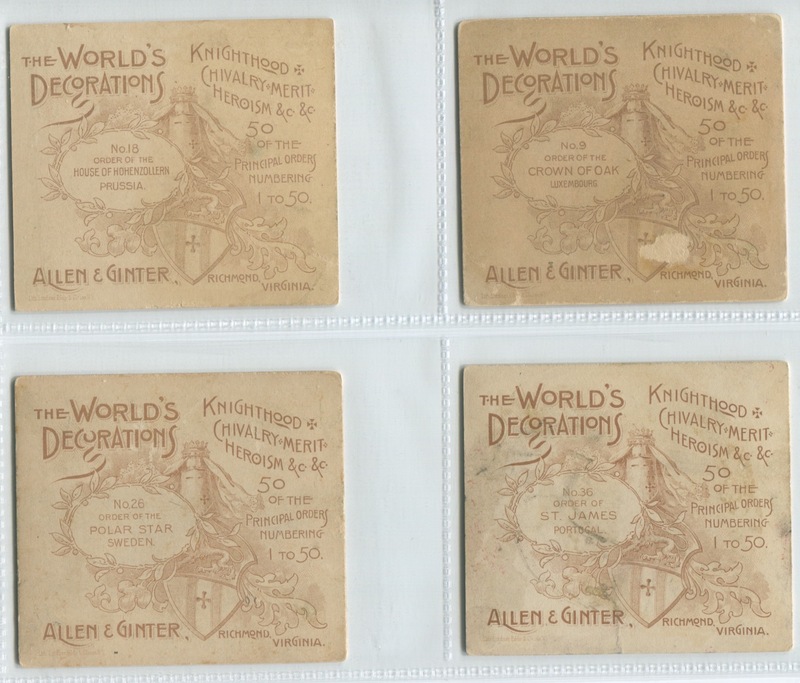 Neither Decorations set seems to enjoy the widespread interest that almost all the other 42 sets do. 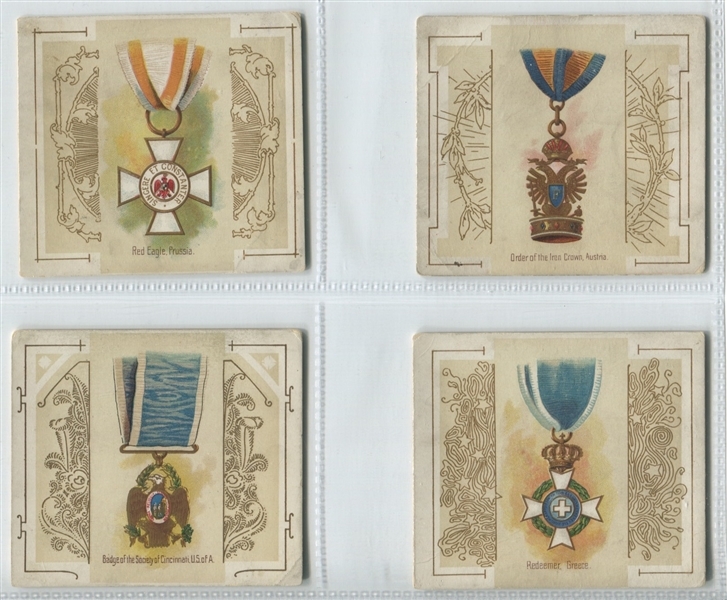 It could be that all 50 cards are Decorations or Awards, and, as such, have little differentiation in the artwork. Whatever the issue, the large format Allen & Ginter cards are much tougher to find than the smaller format siblings and also much tougher to find in nice shape. 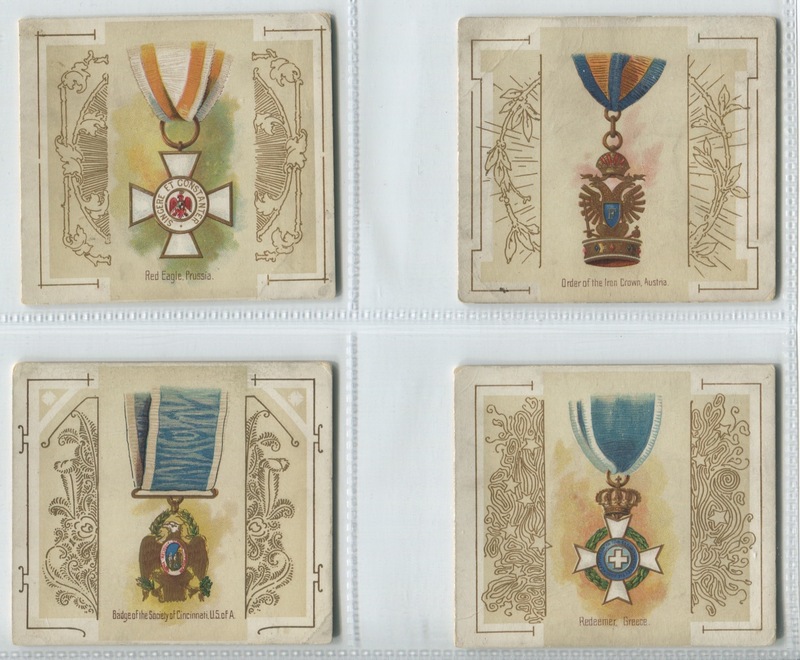 The large format cards, in many cases, seem to have been glued into albums at a higher rate than the smaller counterparts and these Decorations seem to be adhered at an even greater rate than the other large A&G sets. 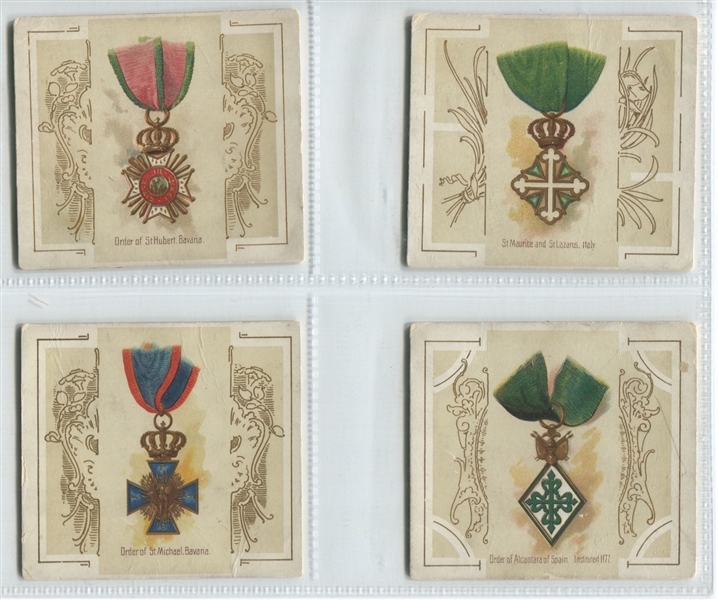 This lot of 16 is no exception. Representing a little less than 1/3 of the complete set, this lot features 11 cards in F condition with back damage and 3 cards in VG condition. While the backs of these cards have even less differentiation than do the fronts, they are one of only a very few A&G sets where the cards are individually numbered on the back. As such, two of these cards are missing the numbers due to the back damage. 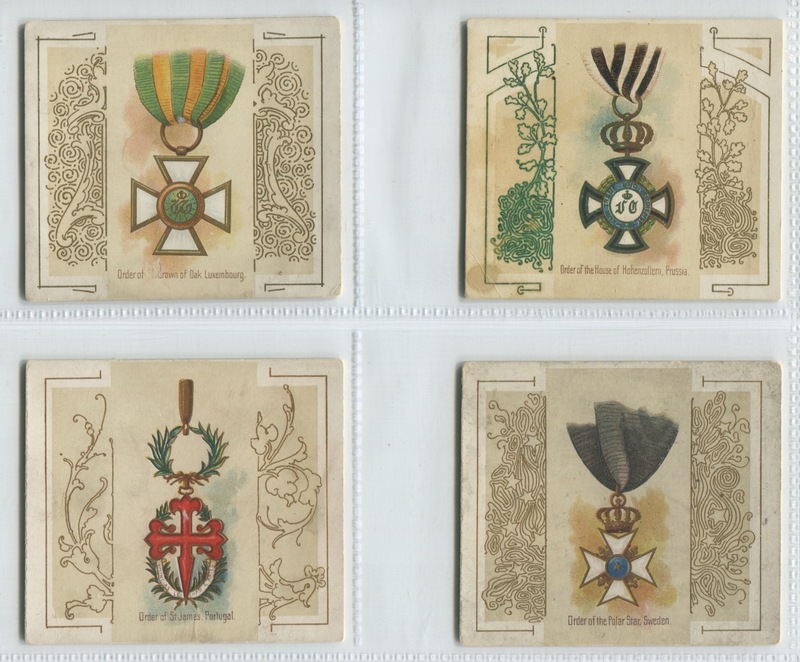 Back damage on the cards is from the very minute to moderate. 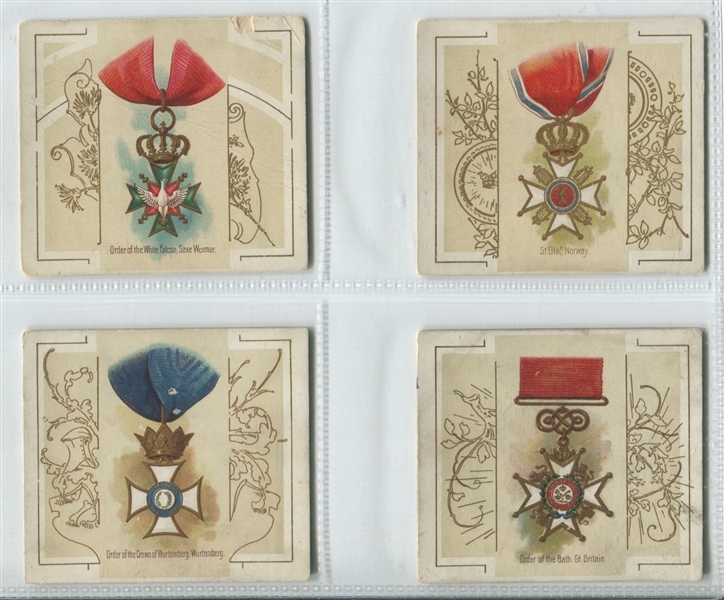 The lot includes the following numbers: 1, 2, 9, 10, 18, 20, 26, 27, 28, 31, 35, 36, 38, 40, 41, 48.